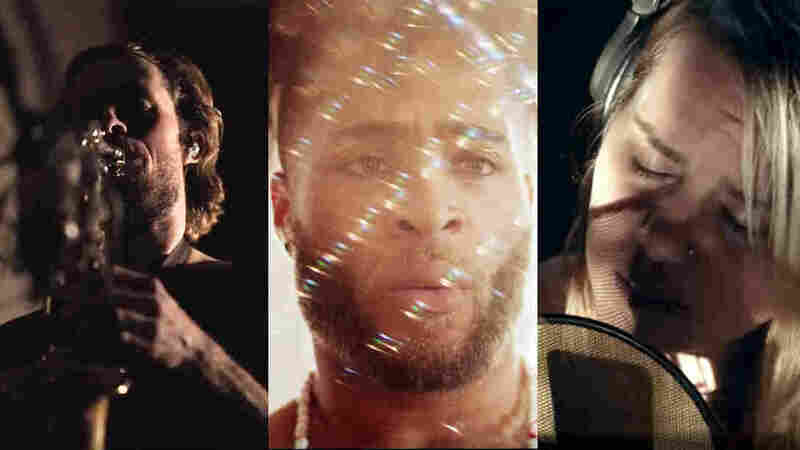 NPR Slingshot: 10 Must-Watch Music Videos From Philadelphia Philadelphia's musicians wouldn't be able to take center stage without an equally robust community of directors and videographers to imaginatively document the work. For this installment of Slingshot Scenes (as part of NPR Music's Slingshot series), a handful of WXPN hosts highlights ten music videos from the Philadelphia scene that made a formidable impression on them. When the hip-hop group &More performed at the 2018 XPoNential Music Festival, it had already won the crowd over with its mix of beautiful vocal melodies and thought-provoking raps, but a song called "4Ever 1st Lady" took it to another level. An homage to Former First Lady Michelle Obama, it uses her quote "When they go low, we go high" as its chorus. Deadfellow, "In Ten Millennia From Now"
The music video for Deadfellow's gorgeous song "In Ten Millennia From Now" is an altogether engaging take on a tried-and-true video music go-to — the historical and "found" clips format. With airy arrangements and contemplative vocals from Philadelphian Hayden Sammak, the song lends itself to a certain amount of introspection in and of itself, so any visuals that accompany it are bound to strike a different chord with each viewer. Ellen Siberian Tiger, "everybody, always"
Ellen Tiberio-Shultz has traveled a stylistic odyssey in a relatively short career as a songwriter-guitarist. Starting out as a folk-influenced teenager from State College, Tibero-Shultz grew into a cerebral composer attending Boston's Berklee School of Music in the 20-teens, and a modern rock-tinged player after a move to Philly and a bit of time in the city's club scene under the Ellen Siberian Tiger banner. Hailing from just across the Benjamin Franklin bridge in Camden, N.J., Kingsely Ibeneche immersed himself in the Philadelphia scene as a dancer, studying ballet at University of the Arts, and accompanying a variety of local musicians onstage. The more time he spent interpreting others' songs through motion, the greater an urge he felt to give his own creative ideas a voice through song. Without the past, there is no future. If there's an overarching theme to the 2018 Rebirth :: Renacer LP by Philadelphia Latin fusion band Interminable, it's that dynamic of time itself. In an uncertain present, understanding where we've come from can inform a better direction as we progress, and that pursuit of forward-movement is given a very literal visual depiction in this video for "Buscando un Futuro" ("Searching for a Future"). Comfort often comes in small doses. A hot shower, a fresh orange, a neatly rolled joint by a backyard campfire, a pile of lottery tickets waiting to be scratched. But the joy within those things is fleeting; the shower scalds your neck, the orange peel sticks to your teeth, the high wears off and the fire burns out, the lottery never wins you any money anyway. All these images are compiled into a stunning video for singer-songwriter Rosali's elegant "I Wanna Know" the album opener from 2018's Trouble Anyway. You're forgiven if you don't quite know where to look, or what to click, or how to do anything other than listen while the "Onederful" video by Philly rapper Armani White is playing. Life on the internet in 2019 is chaotic at best — How many browser tabs do you have open as you read this? – and this imaginative clip directed by Jared Marston and White himself captures that creeping, constant feeling of sensory overload. For more from this month's Slingshot Scenes, check out the 10 Artists You Should Know From Philadelphia.